The European Union has warned Ukraine that the International Monetary Fund funding would be cut off after Kiev binned plans to sign an EU treaty. Behaving like an imperialist gauleiter, EU foreign relations chief Catherine Ashton said that the EU pact was a chance for Ukraine to show it was "becoming a predictable and reliable interlocutor for international markets". The former CND 'activist' and corporate pimp added: "It would have given momentum to negotiations on a new standby arrangement with the IMF". The EU is also likely to withhold a European loan, worth €610 million. The IMF has already suspended a credit line worth $15 billion in 2011 because Ukraine refused to stop subsidising household gas bills. The EU treaty would also allow European energy monopolies to grab Ukraine's crucial energy markets. It is likely that Ukraine turn to Russia to help with $60 billion of looming debt repayments. It has just $22 billion in foreign currency reserves and the same poor credit rating as EU 'bailout' countries Cyprus and Greece. Without a hint of irony Swedish foreign minister Carl Bildt accused Russia of blackmailing Ukraine with gas prices and trade blockades. "They are not going West. I don't think they are going East. I feel they are going down. That's roughly where we are because of the economic problems," he said. An unnamed EU diplomat was more honest about the imperialist machinations at the heart of the matter. "The EU should make a pause in relations, and six months down the line, when he is left alone to deal with Russian pressure, he will come to us on his knees". The German government is encouraging the protest demonstrations being staged in the Ukraine by the "pro-European" alliance of conservative and ultra-rightwing parties. The "pro-Europe rallies" in Kiev and other cities of the country are transmitting "a very clear message", according to a government spokesperson in Berlin: "Hopefully" the Ukrainian president "will heed this message," meaning sign the EU's Association Agreement, which Kiev had refused to do last week, in spite of massive German pressure. To gain influence in the country, Germany has for years been supporting the "pro-European" alliance in the Ukraine. The alliance includes not only conservative parties, but also forces from the extreme right - because of their strength, particularly in western Ukraine, where a cult around former Nazi collaborators is manifesting itself. The All-Ukrainian Union "Svoboda" party is particularly embedded in the national-chauvinist milieu, under the influence of this cult. Over the past few days, the party's leader has called for a "revolution" in Kiev. 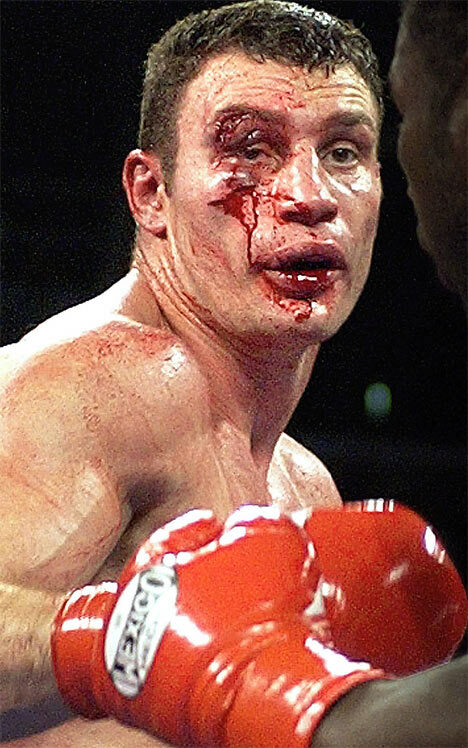 According to press reports, the German government would like to have boxing champion Vitali Klitschko run for president and bring him to power in the Ukraine. It would like to enhance the popularity of the opposition's politician by staging, for example, joint public appearances with the German foreign minister. For this purpose, a meeting is also planned for Klitschko with Chancellor Merkel at the next EU summit in mid-December. The Konrad Adenauer Foundation is, in fact, not only massively supporting Klitschko and his UDAR party. According to a CDU politician, the UDAR Party was founded in 2010 on the direct orders of the CDU foundation. Reports on the foundation's activities for the development of Klitschko's party give an indication of how Germans are influencing the Ukraine's domestic affairs via UDAR. Berlin's use of Poland in its policy toward the Ukraine is also increasing. Berlin and Warsaw are cooperating with the Ukrainian ultra right-wing Svoboda ("Liberty") party, which stands in the tradition of Nazi collaborators, who massacred 100,000 Christian and Jewish Poles during WW II.